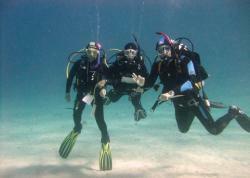 Learn to dive with the Old Harbour Dive Centre team! We have a variety of options for you from kids to adults, try dives or your full certification to dive all around the world! Click on the options below to find out more. Want to have some serious fun?! 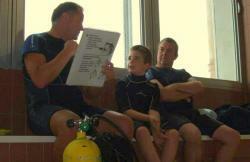 A great way to introduce children to SCUBA diving in a pool in less than six feet of water. Celebrate a birthday or special occasion and do something completely different! It’s fun, easy and safe. With PADI being a global organization, you have the option of splitting your course into segments, the most popular is to complete your pool and theory modules here in the UK and then your four open water dives abroad in the luxury of warmer climates of your choice. If you expect to go diving primarily in the company of a dive guide, or if you have limited time to devote to scuba certification, consider becoming a PADI SCUBA Diver. 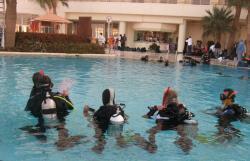 Your Open Water Qualification allows you to dive up to 18m, with a buddy, all over the world. Explore the underwater world from the surface. 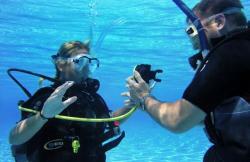 The PADI Skin Diver certification help you get –and keep– your fins wet. 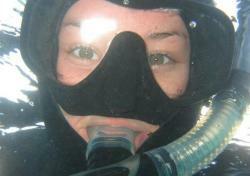 While snorkelling is limited to peering down from the surface, skin divers generally venture further than snorkellers, making surface dives to interact with aquatic life. 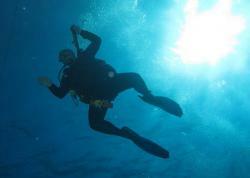 It’s all about the diving!! Just steps away from your chalet is a stunning house reef with easy access to the dive sight, incredible marine life and water temperatures of 20 + degrees. You will find yourself enthralled by the magnificent reef full of life with frequent sightings of turtles, rays and dolphins! Depths vary from 3m to 40m making it the perfect opportunity to start your diving adventure, or even continue on to other couress while you are here! All this for just £795!! Contact us for further information and availability.